Sleek design blends nicely with upscale interiors. 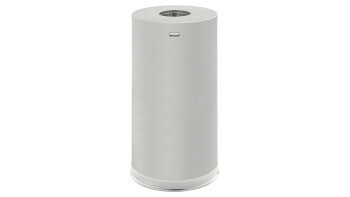 Protective vinyl trim on the disposal opening helps to withstand the rigors of everyday use. The Metallic Series 15 Gallon FGCC16 Indoor Waste Container is made from heavy-gauge, fire-safe steel and is FM approved and UL listed. The Metallic Series 12 Gallon FGSO16 Indoor Waste Container is made from heavy-gauge, fire-safe steel with a sleek design that blends nicely with upscale interiors. 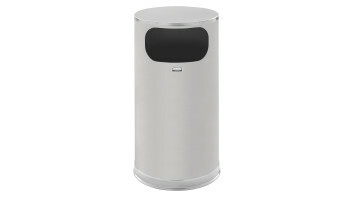 The Metallic Series 12 Gallon FGSO16SU Indoor Waste Container is made from heavy-gauge, fire-safe steel with a sleek design that blends nicely with upscale interiors.